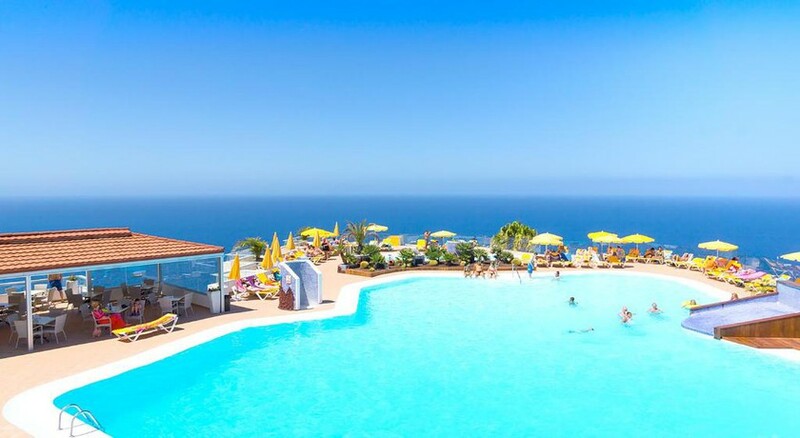 The Riosol Hotel RIVERSUN TOURISTIC has it all; boasting panoramic views of Puerto Rico, on the south western coast of Gran Canaria, this 4-star property offers guests gorgeous apartments, terraces that overlook the stunning beach, and a modern harbour to match. A variety of 1 and 2 Bedroom Apartments are available in the hotel, with the option to go Standard, Economic, Premium, Superior and Deluxe – some are equipped with sea view terraces or balconies. Located opposite the popular Europa shopping centre and mini-golf, Riosol Hotel RIVERSUN TOURISTIC is the perfect holiday spot for families and couples. There are plenty of facilities to keep you entertained in-house, with an outdoor swimming pool, children’s pool, sun loungers, fitness center, tennis court, restaurant and several bars. There is also a separate play area for kids. The Amadores Beach, just downhill from the hotel, is great for watersports, such as scuba diving, windsurfing and boat rides. Located in Puerto Rico (Mogan), on the south western coast of Gran Canaria, the Riosol Hotel RIVERSUN TOURISTIC is 2.5km from the bustling resort centre where you'll find an abundance of shops, restaurants and bars to explore. The Gran Canaria Airport is about 50km away from the resort. At Riosol Hotel RIVERSUN TOURISTIC, you can look out to fantastic views of the sea and bay from the comfort of your room terrace. The rooms in the hotel fall into nine categories that include Standard 1 Bedroom Apartment, Standard Two Bedroom Apartment, Economy 1 Bedroom Apartment, Premium 1 Bedroom Apartment, Premium 2 Bedroom Apartment, Double Room, Superior 1 Bedroom Apartment and Superior Two Bedroom Apartment. All the rooms have all the necessary amenities that include a bathroom with shower, magnifying mirror, hairdryer, WiFi, safe, American kitchen comprising electronic coffee maker, ceramic hob, toaster, microwave and fridge. Enjoy an international buffet for refreshments, breakfast and dinner at the main restaurant, with gluten-free menus available upon request. 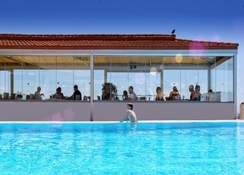 There is a lounge bar, where you can enjoy drinks over live music. If you prefer, you can also prepare meals in the comfort of your room thanks to the well-equipped kitchenette. Or take advantage of the in-room food service provided by the hotel to make yourself comfortable while having food and drink. As the Amadores Beach is steps away from the Riosol Hotel RIVERSUN TOURISTIC so you can enjoy tons of watersports, including scuba diving, windsurfing, boat rides and dolphin-spotting. There are also two outdoor pools, a gym and a tennis court on-site if you want to get active, or keep the kids entertained until dinner. For younger visitors, you can drop by at the games room to play some pool or video games, head to a separate play area for little ones or check out the hotel's exclusive kids’ club. Other than this, there is also a supermarket on the premises, which is open 12 hours a day.